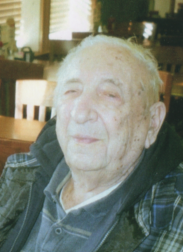 James L. Kuhns, 99, of Littlestown, died Mon, June 25, at Genesis, Gettysburg Center. He was the widower of Martha E. (Grogg) Kuhns who died Oct 12, 2001. Born Dec 28, 1918 in Littlestown, Jim was the son of the late Frank E. & Gertrude (Lawrence) Kuhns. He was a high school graduate and served in the U.S. Army during WWII in Europe and Africa. He was retired from the Naval Ordinance in York. Surviving are his stepdaughter, Fern Shanebrook of York; his 2 step grandchildren; numerous great and great, great grandchildren and nieces, nephews and cousins. He was predeceased by his brothers: Francis and Bernard Kuhns and his nephew, Pete Kuhns. Jim was a member of the International Assoc of Machinists and Aerospace Workers and Military Order member of the Cootie of U.S. Pup Tent #57. He was a life member of VFW Post 6954, American Legion 321, both of Littlestown and Hanover Moose Lodge 227. In his earlier years, he enjoyed square dancing, bicycling, woodworking and traveling. Uncle Jim was a very special uncle to me. I will always remember him for the bike rides he would take us kids on during the warm summer evenings in the mid to late 1960’s. These long rides were usually on the back dusty roads between our home on the Fish and Game Road and Natural Dam. I will also remember him for the trips he took me on to open houses held at the Navel Ordinance Lab in Silver Springs, MD, from where he later retired. During these trips he was sure to go out of his way to introduce me to the Electrical Engineers that he worked for and admired. I will always be grateful to him for taking such an interest in my education after high school. I will always appreciate and remember the mutual pride we shared as he attended my college graduation from the School of Electrical Engineering in March 1983 at Rec Hall on the main campus of Penn State. I will always remember Uncle Jim as someone who meant well. We were Sunday morning breakfast partners for a whole lot of years right up until the restaurant was taken over by Dutterer's. So glad we got to have breakfast with him on Friday.